I learned a good lesson about indoor air quality in my home. Lot of use take for granted that the air we are breathing is okay. Until we are affected by it like allergies or breathing problems or just feeling tired or getting sick.Thats why its always good to make sure you are doing normal maintence to your home in different area's of the home. Like vacuuming on a regular basis to get dust and dirt out of your carpet and yes vacuum your furiture also atleast once a month. Choosing a carpet cleaning company can be harder than you think. My first experience with a so called professional carpet cleaning company was when me and my wife bought our first home. The tech came out to our house looked around at the carpet and the spots and proceeded to tell us that the 49$ special would now cost 125$ to get the carpet clean. the 49$ price was just for the basic clean which was only rinsing the carpet with water and a portable that he got out of the back of his pickup truck. So me and my wife with out knowing what the tech was going to do said we would just go with the 49$ price that we had seen on the coupon. He so called cleaned the carpet with in 20 minutes with no results. 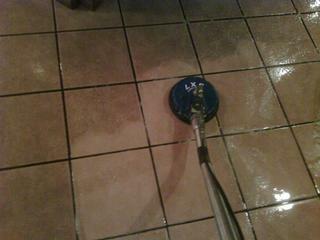 Oriental rug cleaning is a art not to be trusted to just regular carpet cleaners. a proffesional site is needed for best result.First Impressions has the only rug cleaning facility in west orange county located in WinterGarden fl close to Windermere and Ocoee and Clermont Fl. go to www.orlandorugcleaning.com for more info.